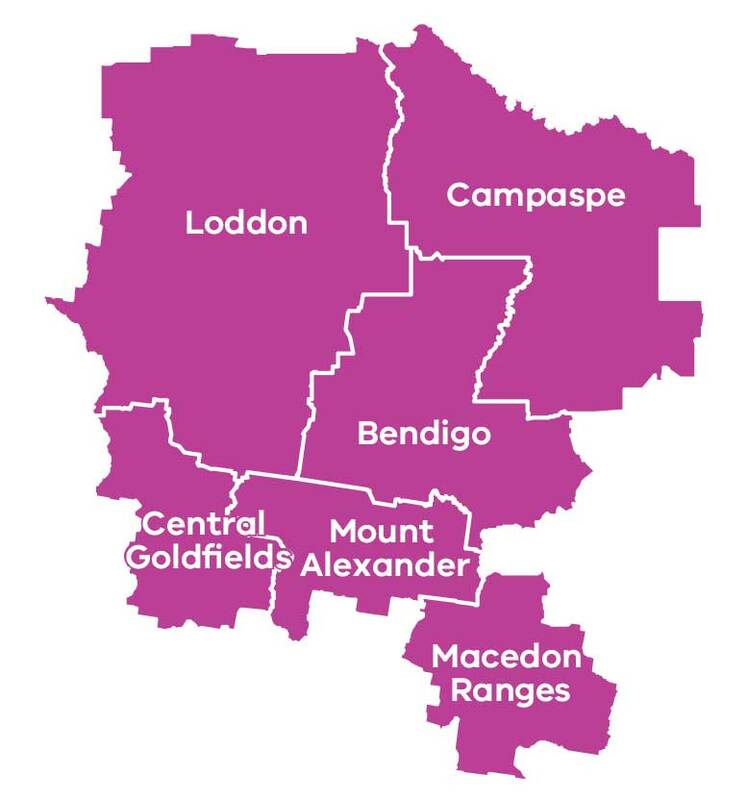 The Loddon Campaspe sub-region includes the municipalities of Campaspe, Central Goldfields, Greater Bendigo, Loddon, Macedon Ranges and Mount Alexander. With Bendigo located in the heart of Loddon Campaspe, high quality health and education services, cultural and recreation opportunities are easily accessed by residents. Agriculture, retail, health, property and manufacturing. Proximity and quality transport connections to Melbourne allow businesses along the Calder Highway corridor to trade with the capital, and for individuals to commute, providing access to jobs and high quality health and education services. Investment in industrial land to provide for service industry development and local employment, particularly in the outer-urban areas closer to Melbourne. Significant land development in the region poses challenges for towns and communities to maintain a country lifestyle that people value. The Loddon Campaspe Regional Growth Plan is one of eight regional growth plans across Victoria. Also referred to as Loddon Mallee South it provides a broad direction for regional land use and development as well as high level planning frameworks and the means to implement the strategic land use and infrastructure directions that are set out in the Regional Strategic Plans.